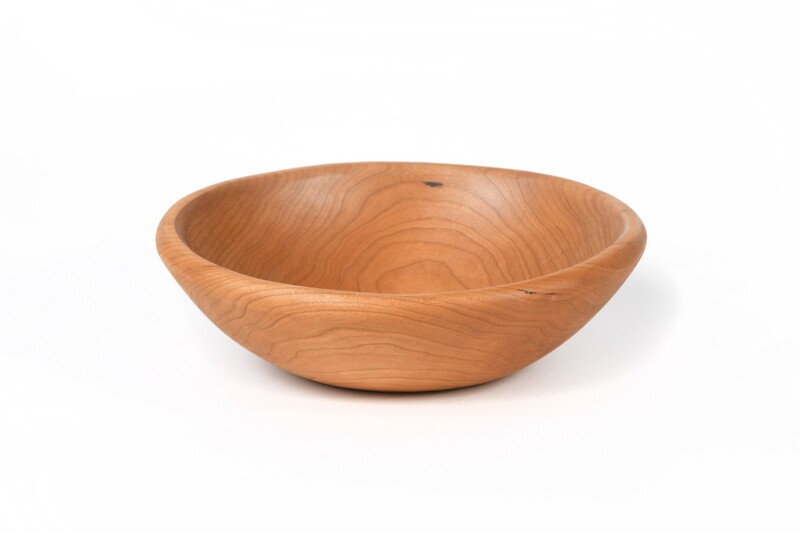 Our Premium Salad Bowls and Servers are fashioned from Select Cherry Wood Logs, and are of a single solid piece of the top grade wood. Each bowl is very finely hand-sanded to an ultra smooth finish, and sealed in the same Food-safe finish as we use on our Cutting/ Serving Boards. Four standard sizes of these beautiful Bowls are always available, and other sizes and woods are available by custom order. A beautiful, useful item which no home should be without. As each bowl is individually lathe-turned, finished sizes are approximate.